I have a very serious problem to discuss with you all today. My Starbucks cinnamon swirl addiction is out. of. control. I can’t resist them! Usually, I’m not a girl that loves baked things from chain coffee shops, I prefer really good cake or brownies from a bakery or patisserie. However the Starbucks cinnamon swirls are just so good. Now you guys know me, I’m a huge believer in having a bit of what you fancy, and a few full sugar Starbucks cinnamon swirls aren’t going to do me any harm. However, I am at the point where I could easily tuck into several a week and something needed to be done! 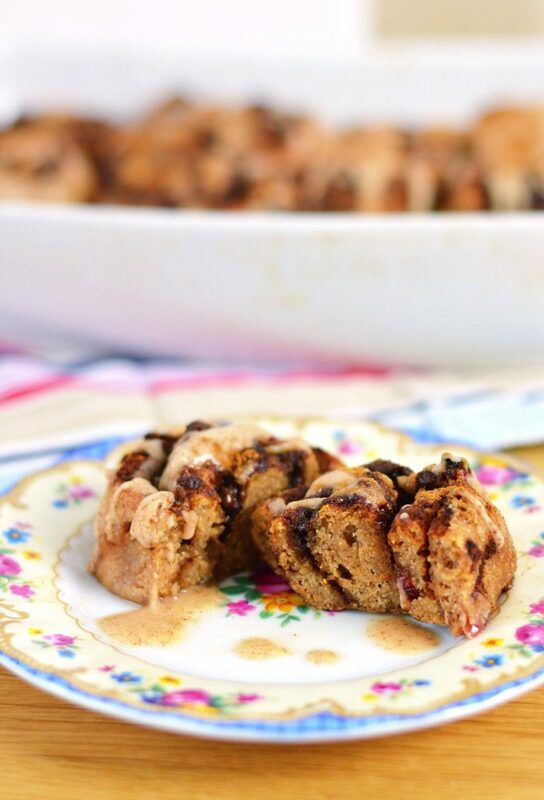 I decided to create my own cinnamon roll recipe to meet my cravings. 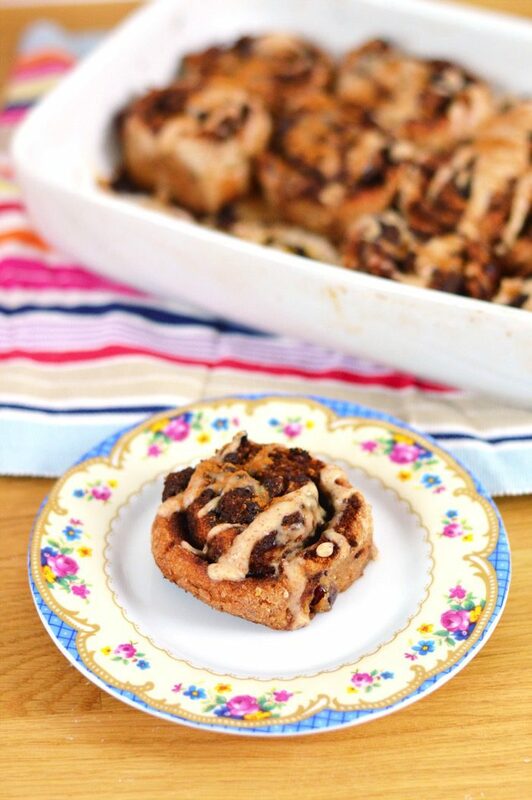 Cinnamon roll recipes seem to be pretty tricky, with most I’ve come across needing yeast. I’m still a bit scared of yeast to be honest, and even after searching for other yeast-free recipes I couldn’t find anything that looked healthy, or tasty enough. This recipe is developed completely from scratch with my 3 ingredient spelt flour scones as a starting point. One of the things I love about the Starbucks version is that it contains dried fruit and citrus so I decided to add some soaked dried cranberries, orange juice and orange zest to the recipe. The recipe contains no refined sugar and not a great deal of fat. It’s a nice straightforward recipe to make, with amazing results! 1. Soak the cranberries in a bowl with the juice of one of the oranges for 1-2 hours. 3. Zest the second orange and set aside. Add to a bowl along with the flour, yoghurt, cranberries and the soaking juice, honey and cinnamon. Combine, using a spoon and then your hands, until a soft dough forms. Add more flour from the separate 1/2 cup as needed, until it's no longer sticky. 4. Dust a surface with flour and roll out the dough into a square shape about 3 mm thick. 5. Make the filling by mixing the coconut sugar and cinnamon with the (hard) coconut oil until it becomes crumbly (I used a fork for this). Spread over the dough reserving some for on top. 6. Carefully roll up the dough from one end until you get a sausage shape. 7. Cut the dough 'sausage' into pieces about 1 inch thick. 8. 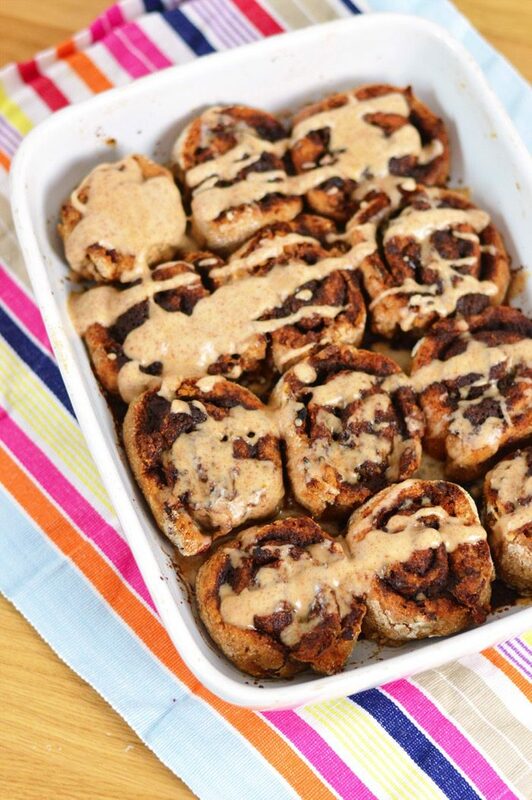 Grease a baking tray with sides with coconut oil and place the cinnamon rolls, cut end down, snuggly beside each other. 9. Scatter over the remaining filling on top and bake for 20 minutes, turning the tray after 15. When cooked, the dough should look bread-like and not doughy. 10. Leave to cool while you make the topping. 11. 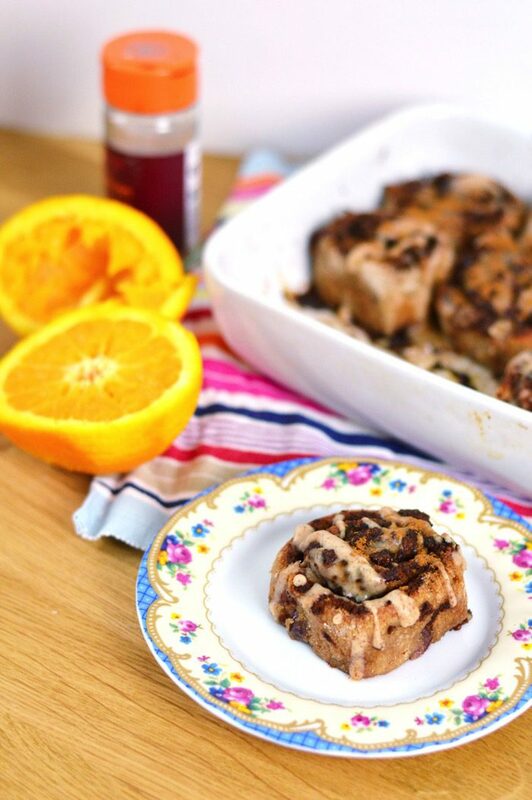 Combine the icing sugar, orange juice from the reserved orange and cinnamon and drizzle on top of the cooled rolls. Serve! These will keep at room temp for 2-3 days or can be frozen for up to 6 months. The texture of these is better than I could have hoped for. They are soft, chewy and sweet with a lovely cinnamon flavour. As I say in the recipe, I used Natvia icing sugar which is natural, and contains no calories or carbs. It is super sweet though, so bear that in mind while pouring it on top of those rolls! 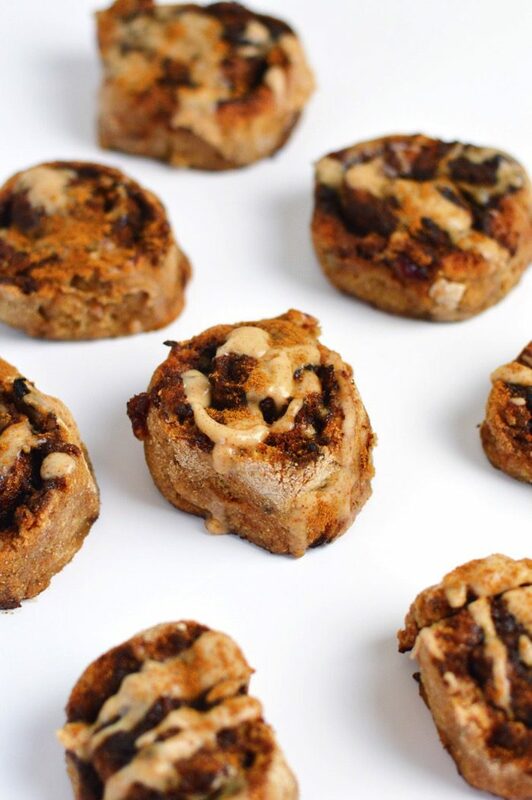 Although I’m not claiming these are as good as Starbucks cinnamon swirls, they are a version I can eat more freely with much less of a sugar hangover afterwards. I’ll still be having my Starbucks fix now and again, but I’m keeping these in the freezer for whenever the craving strikes!